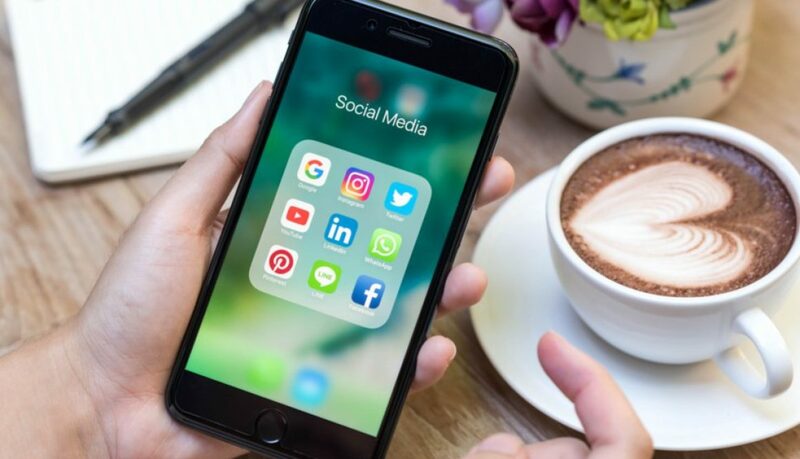 If you’re a social media marketer, two things are almost certain: You spend a lot of time on your mobile phone, and you spend even more time teaching your friends and colleagues how to use the latest apps and features because you’re at the forefront of it all. Social media is constantly evolving. This makes marketers beg the question: How do I keep track of everything that’s changing — and still have time to do my job? We feel your pain, and we’re here to help. We’ve rounded up our tips and tricks for keeping up with social media news that we use every day here at HubSpot. And once you have a system down, keep track of what you’re sharing on social media this month with these tools for managing your social media calendar. 1. Create a stream on Twitter with popular hashtags. 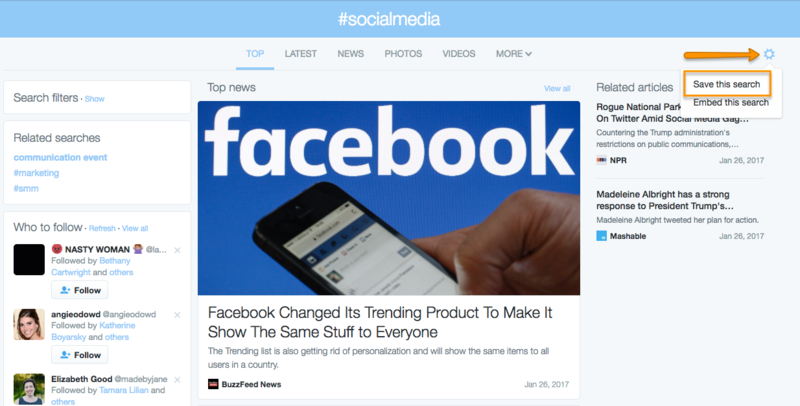 The best place to find out the most recent news about social is — you guessed it — on social media. Start by creating a stream on Twitter with popular social media hashtags. You can use terms like #socialmedia, #smchat, or #inboundmarketing — if you need more ideas, check out Hashtags.org. Avoid searching for a term that’s too general (like #marketing) because you’ll quickly see a swarm of tweets flooding into your stream. 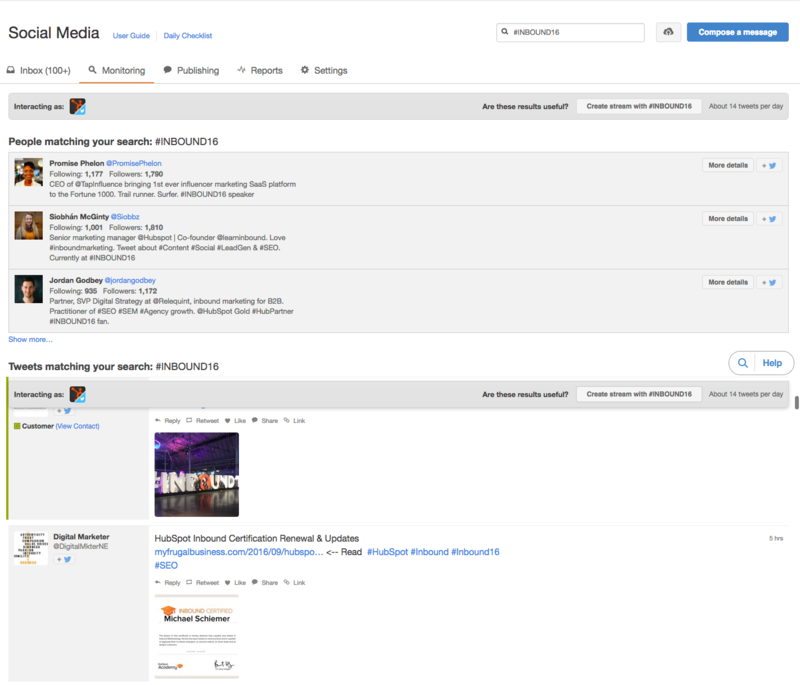 HubSpot customers can create a stream using HubSpot Social Inbox. 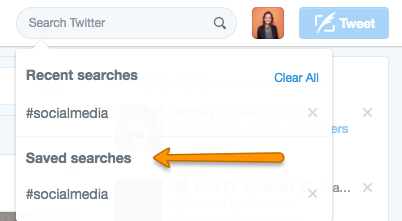 First, start by typing your hashtag into the search box at the top of the screen. Then, check out your results. You will see a list of people and tweets matching your search term. If you like the sampling of results that you see, you can create a stream with that hashtag. 2. Make a Twitter list of influencers in the industry. The beauty of social media is that the experts often hang out there, too. Whenever there is a new announcement or update in the social media world, you’ll find influencers discussing it on Twitter. Use the hashtags that you gathered in the previous example and pick out some of the most active people tweeting on them. Make a Twitter list based on your findings and spend some time each day running through the list to see what they have to say. And don’t be shy to ask them questions yourself. After all, that’s what social media is all about. If you want some help getting started, here’s a Twitter list of social media experts and influencers that we admire at HubSpot. It’s a public list, so you can follow it, too. 3. 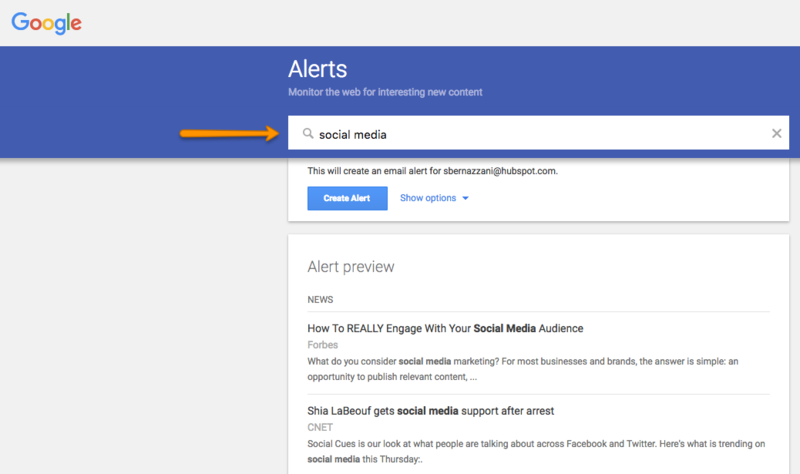 Set up Google Alerts on terms and influencers. Now that you have a list of influencers and hashtags that you can follow on social media, you can set up a Google Alert for some of them. That way, you’ll get regular updates when they post content or are interviewed about social media. 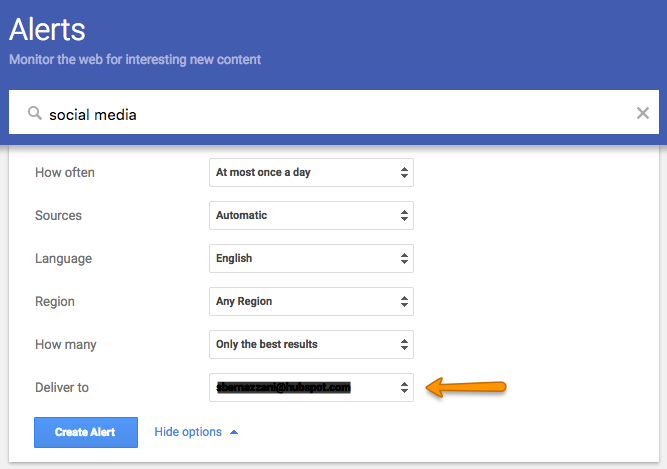 Pick your top three favorite influencers or topics and set up Google Alerts for them. This will help you stay up to date on any breaking news in the industry. We recommend getting these alerts once a day so your inbox isn’t completely clogged. All you have to do is type in your search term, select your frequency, and you are ready to go. You can also choose to do this for certain social media terms or trends. The specificity of your search term will determine how many alerts you receive. For example, the term “social media” is written about every day, but “social media trends in North America” will generate more targeted alerts. 4. 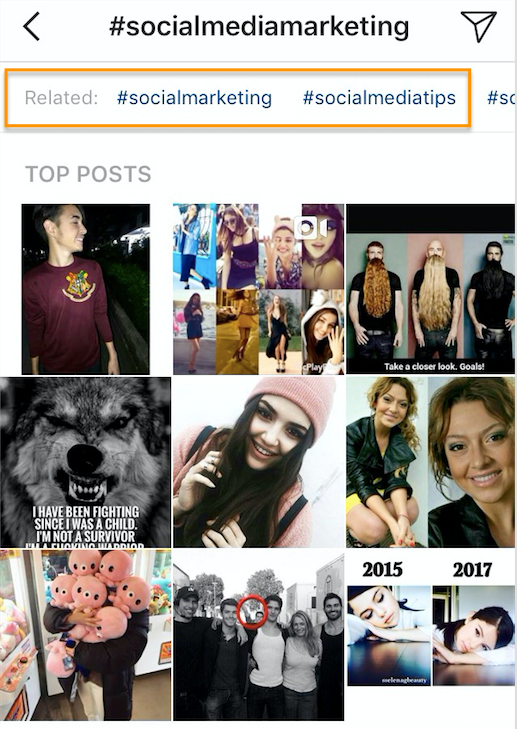 See what’s trending on Instagram’s Explore tab. 5. Join Groups on LinkedIn. Discussions on LinkedIn about social media for business are extremely lively. Whether there’s an update to Facebook, a new social network that’s making traction, or a new theory on the future of social media, you are sure to find it in LinkedIn groups. Even better, you will meet a lot of other social media enthusiasts with whom you can network and ask questions. 6. Subscribe to social media blogs. As bloggers ourselves, we’re going to suggest that you subscribe to a few blogs that post content about social media so you don’t miss anything. If there’s a new feature or trend, it will definitely be written about in detail on these blogs. However, more important than subscribing to these blogs is making sure you set aside time each week to read through your content. Block off as much time as you need to go through the content — that could be anywhere from 15 minutes a day or 15 minutes a week. 7. Attend a conference, virtually or in-person. Take the time to go to a social media conference. This will be a great opportunity to hear from social media experts in the industry and be able to ask the burning questions you may have. You will get the most up-to-date advice about running a social media campaign and what you should know when using social media. However, it isn’t realistic for all of us to pack up and go to every single conference that talks about social media. If you are unable to attend the conference in person, you should follow along via — you guessed it — social media. Every conference or event will have a corresponding hashtag that you can follow during the conference on Twitter, Facebook, and Instagram. Social media posts are often quotes from speakers at the event, so you’ll still get access to the content being shared. For example, each year, INBOUND covers top social media trends, among a variety of other topics. The following stream shows people who are tweeting about INBOUND 2016 using the hashtag #INBOUND16. An easy way to learn about what’s changed in the social media space is to listen to the news on social media marketing podcasts. Podcasts vary in length and provide lots of valuable information from social media experts and influencers in the form of interviews, case studies, and rundowns of the latest news. You can listen to episodes during your commute, at home, or just when you need a break from your computer screen. 9. Set up an IFTTT. 10. Set up a news aggregator on Feedly. There are various free news aggregation RSS feeds that you can customize and subscribe to to centralize news from a variety of different sources all on one page. 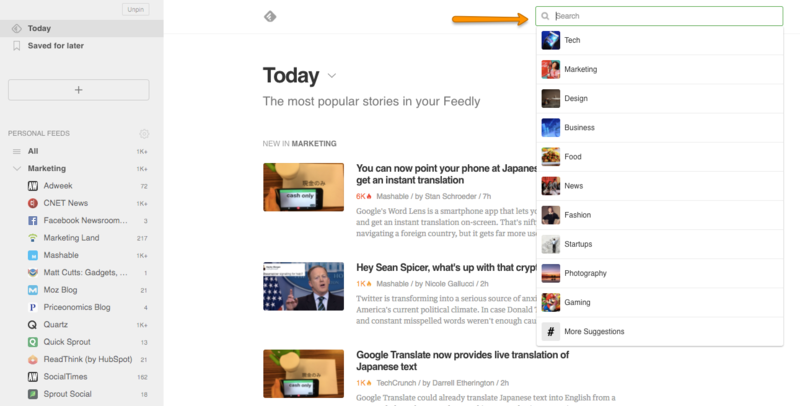 I use Feedly, and after subscribing to different marketing and technology publications, I set Feedly as my homepage. That way, I have to glance at the big headlines before starting work each morning. You can easily search for topics and names of publications to add to your Feedly to keep your knowledge as current as possible. 11. Get certified in social media. Taking HubSpot Academy’s free online Social Media Certification will update you on how social media is being used today, and make you a certified social media marketer at the same time. Explore up to eight lessons in social media, from social media listening and moderating to how communications teams use social media to manage a crisis. Try out some of our suggestions and let us know if they help you keep track of the latest social media news. We’ve made some predictions about how social media will evolve in the future, so keep an eye out for more news and trends — they’re right around the corner. Do you consider your business to be “niche?” If so, inbound marketing was made for you! Think about it: if you’re in a niche industry, any large-scale outbound marketing initiatives (TV ads, billboards, newspaper ads) will reach an audience that is 99% irrelevant to your business. Inbound marketing, on the other hand, lets you attract the most qualified prospects to your business, wherever they are. In fact, some of the most dramatic successes we’ve seen with inbound marketing come from businesses in niche industries. It’s true! Here are six points that will make you believe that you and inbound marketing were meant to be together. As a niche business, you have very specific expertise that is valuable to your prospects and customers. Therefore, you shouldn’t want to talk to just any prospect; you should want to talk to prospects who are in the right industry and role and who have problems that you solve. Especially if you’re in a niche industry, there is likely a finite number of places people can go for information specific to that area. 71% of B2B buyers go to the internet to get that information. Don’t you want to be the one they find? For a local company, Distinctive Landscaping’s “niche” is its geography. In addition to defining its typical customer, this landscaper maintenance service provider in North Attleboro, Massachusetts defined its geographic service area to target its marketing. 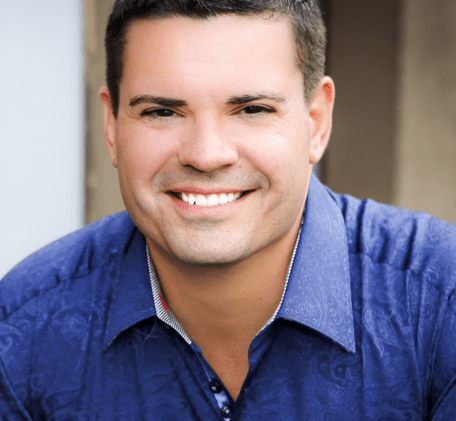 Distinctive Landscaping’s President, Jason Scott, identified the keywords his potential customers were using to search for his services. He coupled that with keywords for his geographic area and started creating content on his website. He’s since been able to rank in the top four organic search results for Distinctive Landscaping’s top keywords and double its website’s overall traffic in the span of just a year. Jason found a huge opportunity in his industry and region — his competitors weren’t blogging, but his prospects and customers were searching online. Today, Distinctive Landscaping ranks higher in search engines than all of its competitors. Getting found by a narrow audience is not confined to search engines — it expands to many online channels, including social media. Whether you use Facebook, Twitter, LinkedIn, or an industry-specific social network, these sites allow you to directly connect with your target audience. And the more narrow your audience, the easier it is to identify the specific contacts engaging on these social networks. Take advantage of these sites to engage with your prospects outside of your website and outside of an in-person or over-the-phone interaction. Unless you are a local business, chances are that the number of qualified prospects in a 10-mile radius of your office is pretty small. But as you expand that circle — to the whole state, country, or worldwide — those numbers start to add up to your whole universe of prospects. With inbound marketing, you can easily build an online presence to attract prospects no matter where they are. Furthermore, inbound marketing is long-lasting. You could be relaxing on your porch on a Saturday, hammering out a blog post, and a prospect might read that blog post on a Tuesday morning in their office a year from now. You have specific expertise in your niche industry, and sharing that with your prospects shows them you are an expert and builds up trust in you as a potential product or service provider. Business blogging allows you to demonstrate your expertise before someone even talks to you — and as you build a relationship with them over time. It also allows you to essentially become your own media company, publishing your knowledge for others to see that you are an expert and thought leader. Publishing your expertise helps not only your prospects find you but also other journalists and bloggers who may end up writing about and linking to you. Blogging and engaging in social media has turned into many PR opportunities for businesses over the years because it allows them to show their thoughts on leadership and engage with publishers at the time when they’re looking for supporting content for stories. Palomar Technologies is a supplier of advanced microelectronic and optoelectronic packaging systems — not what you’d expect to be the topic of not one, but two, hot industry blogs. 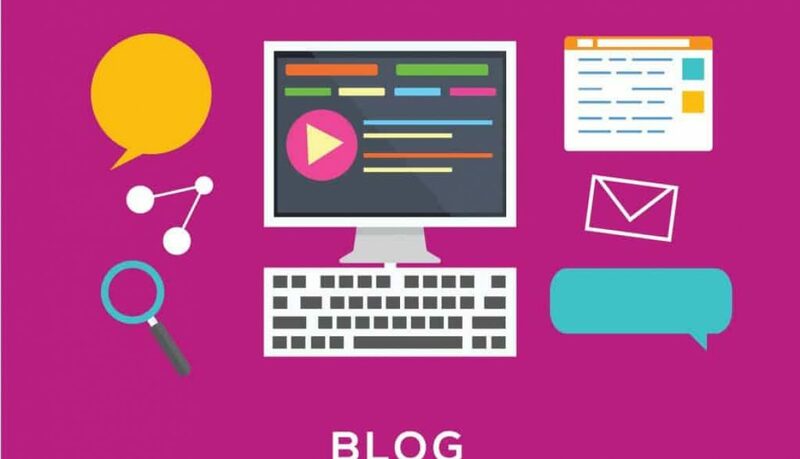 They started blogging as part of an effort to increase the volume of content (pages) on their site, increasing their chances of getting found in search engines, and building credibility in industry-specific topics. “Because this is a niche business, because there are not a lot of people in the world who do what we do, we are often the first stop for any kind of information about advanced packaging for the microelectronics and optoelectronics industries,” Palomar’s marketing communications specialist Rich Hueners said. After just four months of blogging, their monthly traffic — and specifically Google search traffic — increased almost 20x, and they accumulated over 1,000 inbound links, which are critical for SEO. For inbound marketing to be truly successful, you need more than just high-quality visitors coming to your site. You actually need to know who those visitors are and be able to identify and follow up with qualified prospects. That’s why one of the key parts of inbound marketing is creating targeted marketing offers that are valuable to your potential customers. So when you have a truly targeted and valuable offer that you put behind a landing page on your website, the people who fill out that form will be highly qualified leads for your team to follow up with. TotalMobile offers mobile solutions designed to assist local authorities, government agencies, and housing associations in managing employees’ workflow to maximize productivity and reduce operational costs. Not only are they in a niche market, but they also have very different target personas within that. They had previously used their website for brand awareness and as a static page on the internet. But by creating landing pages, setting up lead nurturing, and monitoring prospect activities, they’ve turned their website into a lead generation tool. They created landing pages for each specific application geared toward a highly targeted customer, helping them reach the right prospects in the right way, and helping them qualify the leads they were getting. In an interview with BostInnovation, TotalMobile Director of Marketing Sunniya Saleem shared this piece of advice to fellow marketers: “Make sure your efforts are aligned to the real-estate on your website and that you have appropriate landing pages set up.” In other words, if you want to generate leads from your website, dedicate some real estate on your website for lead conversion opportunities. Niche businesses are frequently on tight budgets (although really, which business isn’t)? Luckily, inbound marketing activities have the additional benefit that they are highly measurable. From measuring exactly where your visitors are coming from to what content they’re downloading to which marketing campaigns bring in actual customers, inbound marketing allows you to measure all of your activities to understand what’s working and what’s not. All so you can make better marketing decisions and figure out where to invest your future time and money for the best results. And what’s not to love about that? Did you know that social media platforms account for roughly 50% of all time spent online? Collectively, we’re spending more and more of our lives engaging with content on networks like Facebook, Twitter, and Instagram. Love it or hate it, social media has become a valuable tool for filmmakers who want to reach an audience. Using social media to drive interest and investment in you and your movie projects can seem intimidating – or even impossible. That’s why we wanted to take some time today to discuss successful social media strategies for filmmakers: so that you can spend less time fretting about the tools at your disposal and more time actually telling and sharing your stories! To that end, we’ve boiled down our research and experience with social media best practices, distilling them into 10 essential steps. Our hope is that, although this is by no means a comprehensive guide, it will be more than enough to help you start unlocking the potential of social media in your filmmaking outreach efforts. The first step is to choose a platform that fits your goals. We’ll focus on three of the big ones here: Facebook, Twitter, and Instagram. Of course, you’ll want to identify where your target audience is spending their time on social media. Facebook is a far-reaching, rather all-encompassing platform which, at the time of this writing, boasts more than two billion monthly active users. Twitter is a great venue for networking and news updates, while Instagram’s visuals-first format is (currently) most popular with younger generations. If you’re a cinematographer, Instagram could be a good fit, allowing you to share representative photos and videos from your work and life. If you’re a comedy writer, Twitter could function as a forum to share bite-sized jokes. If you’re a documentarian, then you could focus on Facebook to share think pieces and drive discussion with people likely to appreciate it. Don’t stress out about needing to be good at all social media, all of the time. Instead, pick a platform to start with and stick with it. Learn its ins and outs and build your following until you’re ready to add another platform to the mix. You may find that one platform is enough to engage the majority of your audience. One step at a time! If you try to do too much too soon, you run the risk of getting overwhelmed, giving up, and doing nothing at all. To help illustrate the concepts we’re discussing, let’s invent a couple of filmmakers and look at their use cases. AJ is a female filmmaker with a short film, “Amazing Short”, playing the festival circuit. It’s a comedy starring an up-and-coming female comedian. Meanwhile, JR is crowdfunding for a feature-length documentary about environmental conservation. Perhaps AJ begins her social media efforts on Twitter, engaging her audience wittily and frequently, building relationships. JR decides to focus on Facebook, mixing articles about the environment with upbeat crowdfunding updates. Make a list of all of the words that describe you and the work you do. Try to come up with 30 words or so. Next, identify common themes in the list and look for people already in that space on the social media platform of your choice. Depending on the platform, a good way to find these people is by searching the words on your list as hashtags. Study what they’re posting and which pieces of their content have the most interactions. How can you shape your own posts to leverage the trends you’re seeing? More generally, what artists inspire your work? Which companies are producing content similar to your own? What kinds of films does your audience enjoy watching? Identify these accounts and figure out what they’re sharing with their communities. You’ll have a better sense of the sort of world you want to create with your own content. Of course, save your word list for future reference and feel free to keep adding to it! Think of it as a springboard into your greater strategy. Now that you’ve studied some related accounts, take a look at who’s engaging with them. Do some reconnaissance – learn who these people are and what sort of content they like and engage with. Follow them and get a conversation going! Be proactive. A snowball doesn’t make itself; you have to get it rolling down the hill first. Similarly, your audience isn’t going to build itself until there’s some momentum behind it, and in order to get momentum, you need to do some virtual networking! If you’re on Twitter, you can use lists to keep track of what your favorite accounts are sharing. This makes checking in with keyword topics and other segments you define relatively quick and easy. Regardless, by liking, responding to, and re-sharing posts by your inspirations, fellow filmmakers, and fans, you’re contributing to the conversations they already care about, on the platform they’re already using, encouraging them to reciprocate and keep track of you. If and when you decide to keep up with multiple social media platforms, try to create the same usernames, or handles, for each, and be sure to use the same profile photos. You may even want to use the same bio and descriptive text. The reason for this is that you want to maintain a consistent brand. People should know it’s you regardless of what platform they find you on. Of course, there’s plenty of advice out there about when you should post, how often you should post, etc., but these are generalizations – useful points of reference but not hard and fast rules. Don’t obsess over what you “should” be doing in order to cast the widest possible net. Instead, learn the patterns that work best for you, taking into consideration the schedule and frequency that tend to win the most and best responses from your audience. Try posting at different times of the day and on different days of the week to figure out your optimal windows. Once you’ve found them, stick with them! People may come to expect new content according to the pace you set. Throughout all of this, be sure to set realistic goals for yourself. It will take time to collect and analyze the data that will help you determine an effective rhythm. Moreover, making time to post regularly can be a challenge, so planning a week or even a month of content in advance is often a good idea. That way, you’ll have content queued to cover for the days you’re not available on social media. Again, it will take time for you to learn what’s optimal for you and your brand. This is normal. Don’t panic if things don’t “go viral” overnight. We’ve touched on this already, but it’s worth repeating: consider planning out some social media content in advance. In addition to helping you cover gaps in your availability, advance planning affords you the opportunity to create mini-campaigns. You can share according to an outline and space out your content, resulting in a very intentional and curated feed. For example, if you have a film releasing online, you could take screen grabs and release them over the course of the week leading up to the premiere, building anticipation. Or do you have some sweet behind-the-scenes photos from a recent shoot? Instead of sharing them all at the same time, space them out, keeping your feed alive, varied, and interesting. 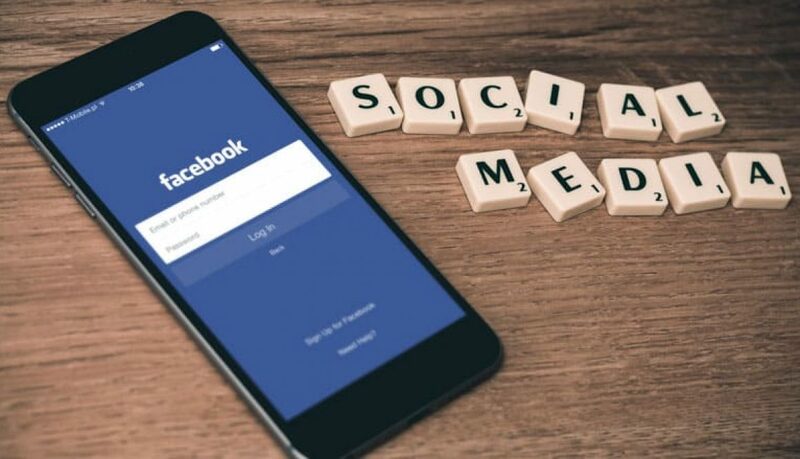 Time-saving tools like Sprout Social, Buffer, and HootSuite are useful ways to manage your social media presence, whether you’re working on one platform or several. They can help you plan ahead and even analyze data trends unique to your audience. Of course, this sort of assistance comes at a cost! It’s up to you to decide whether or not to incorporate such tools into your social media workflow. Some platforms already have scheduling and analysis features built in. Facebook, for example, includes an “Insights” area for Pages eager to learn more about their audience and reach. Remember AJ? She knew she’d need social media content, so she made sure to take photos of rehearsals, production meetings, and life on set. After the shoot, she created a few short video teasers and posted them along with the very best photos to her new Instagram profile. Since she’s managing both Twitter and Instagram, AJ has invested in a social media management tool to cut down on the time spent toggling between platforms. She queues up a couple of posts a week on both platforms, tagging all relevant cast and crew members so that they’ll see and perhaps share the posts with their own networks. Meanwhile, JR continues to curate content related to his documentary, spaced out so that his feed doesn’t feel spammy. He intersperses thank you messages and shout-outs to his crowdfunding supporters and shares footage clips and interview quotes from his film, intending to spark conversation. He also keeps his audience abreast of updates on the film’s progress. You’ve already searched hashtags in Step II; now it’s time to share some! Hashtags are vehicles of discovery. People could find you the same way you found them in Step II; namely, by browsing content associated with the hashtags you choose. Don’t underestimate the power of hashtags. They’re especially important on Instagram, which at the time of this writing allows you to use up to 30! If you’re on Twitter, check in with what’s trending and adopt the hashtags of the moment that feel true to your brand. Don’t include hashtags that don’t feel at home in the world of your social media presence, however. People can tell if you’re forcing something that doesn’t work for you just because you want to increase your reach. It’s a good idea to use a hashtag for each one of your projects to help you keep track. For example, AJ would use the hashtag #AmazingShort for her latest project in posts related to her short film. This helps make your projects easier to find. Your ultimate goal may be to build an audience for self-distribution or crowdfund your film project, but what that looks like in practice is fostering relationships. You’re connecting with other living, breathing human beings who care about and appreciate your work, and whose work and perspectives you’ll want to engage with as well. Social media is rarely a one-way street. Think of it as a large-scale conversation with your friends and acquaintances. If you only ever talked about yourself, it would be hard to build a real, meaningful relationship, right? Be sure to check out what your fans and followers are saying. Be responsive and engage with them and their work. Support your fellow creators by sharing what they share, too. The more you converse with others, the easier it will become for you to maintain a lively social media presence, since you’ll be connecting to a wider conversation. AJ has plenty to post about her own short film, but she makes sure to post when her cast and crew have news to share, too. She replies to comments from her fellow filmmakers and other audience members and checks their profiles regularly so that she can like and share what they have to say. She also continues to search relevant hashtags so as to discover new creators to support. Similarly, JR spreads the word about environmental groups whose missions are close to the message of his film. He shares others’ events and fundraising campaigns when they align with the vision of his film, and he stops by his followers’ profiles from time to time in order to chime into conversations that are important to them and relevant to him. Don’t overthink this, guys – just build community! It’s the virtual equivalent of in-person networking. You don’t necessarily need to create a new account for each film you make. Instead, keep track of things using hashtags. Sure, you could set up a shiny new account for a project that has a specific niche audience or that doesn’t fit your overall brand image, but nine times out of ten, it’s wise to keep things simple. Don’t make things more difficult than they have to be. If you start from scratch, you need to repeat steps I through VII. AJ rocks the hashtag #AmazingShort whenever she posts about her short film on her own personal Twitter and Instagram accounts. Conversely, since JR has been working on a feature length documentary for several years, he decided it was best to create a separate Facebook Page and Twitter handle. He shares movie-related posts on his personal accounts. You probably won’t get social media perfect right off the bat, and that’s okay. This is a learning process. Your habits will change as you become more adept at using social media, and as the platforms themselves change. The more active you are on your social networks, the more data you’ll collect, the better you’ll become at predicting what works for your audience and what doesn’t. If you’re scheduling blocks of content at a time, evaluate what worked best from previous campaigns and incorporate those conclusions into your future strategies. Don’t hesitate to delete older posts that no longer fit your voice! Social media is a moving target. Tools like Canva are great for designing a variety of posts for Facebook and Instagram, sprucing up the presentation quickly and easily. A Color Story is a handy app that will help you color correct and prettify images for Instagram and Facebook. 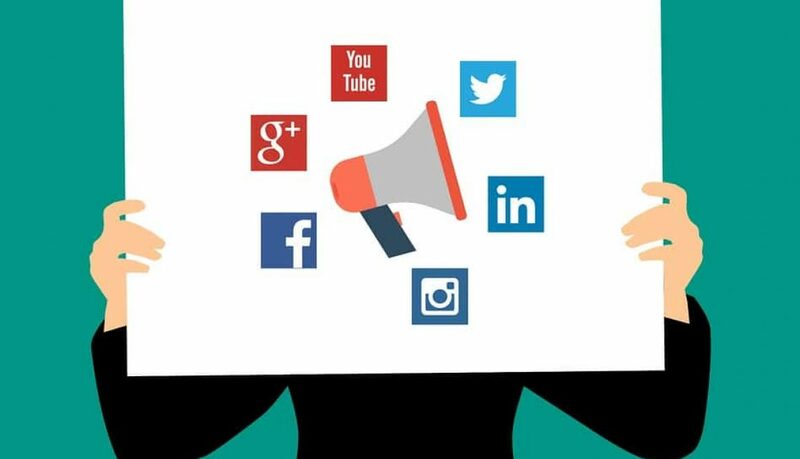 Basically, there’s an increasing number of social media-minded solutions out there to help you stay nimble in your content creation without compromising quality. Even so, sometimes it’s hard to muster the energy you need to create your own posts on a regular basis. When you fall into a slump, remember that you can stay active simply by engaging with other people’s posts. Be present and consistent even during your dry spells. AJ used to share her best posts on weekends, but recently, she’s noticed an uptick of engagement during the middle of the week. Inspired by this data, she decides to try sharing her coolest content on Wednesdays. She’s also started experimenting with Canva, adding text to some of her Instagram posts for variety. JR has observed that he gets the most interaction with his posts when he uses the hashtag #EcoDoc, so it becomes a regular in his rotation. People aren’t interacting as much with his text-heavy news articles of late, so he’s decided to focus on finding and sharing more video content instead. Authenticity is key to social media these days. We can’t stress this enough. Think of your account as an extension of yourself as a filmmaker, and even as a person. Don’t hide behind your project and your brand; show yourself! Have conversations with your audience and your fellow creators. They’re an opportunity for you to refine your creative voice and discover what communicates most effectively with your online community. With any luck, the interaction will be a reward unto itself, but whenever you get discouraged, go ahead and take a step back and remember that these people can help you reach your ultimate goal of finding viewers, crowdfunding your film, or whatever the case may be. Try to approach social media as a tool, not a chore, and do you best to find a way to make the experience fun. For AJ, this means posting things in her own voice, which matches the voice of her work, and following people who create and share the sort of content she naturally enjoys. Consequently, she’s naturally forming relationships online. For JR, social activism is a driving force, inspiring him to engage in conversations around a cause he cares about. What keeps you going, Indie Film friends? What steps do you take in your own social media strategies? We’d love to hear from you in the comments below! Want to learn more film promotion and marketing strategies? The three pillars of local search are relevance, proximity, and authority. How can reviews influence these pillars? By adding content and context. Unlike local business websites, reviews are made up entirely of user-generated content. The content provides unbiased details and adds keywords to associate with the business in question, which contributes to relevance. The reviews provide Google with context as to which businesses merit the greatest visibility and which deserve to be buried. Google also looks to reviewers for confirmation that the local business location and details are accurate, thus improving proximity. Business information is used for two types of search: organic and local. On the organic side, Google pulls information from your website and reviews from sites like Facebook, Yelp, and industry-specific sites. Google also pulls from Wikipedia and Wikidata. You should monitor all of these sources to make sure they are accurate and up to date. However, Google takes it a step further. They use primary data suppliers (Acxiom, Localeze, Infogroup, and Factual) to verify business information. Google also has a second tier of data providers for local search, which includes directories and review sites like Facebook, YP.com, and Yelp. Google’s Knowledge Panel showcases reviews from Google, Facebook, and other industry-related sites. The Knowledge Panel is an instrumental tool for users, especially on mobile platforms. It helps them research a business, get key information and take action without even clicking on their website. The results are once again determined by relevance, authority, and proximity. But it’s also clear that reviews are a factor in search rank. The top hit, Cartel Coffee Lab, has a 4.5-star reputation and over 400 reviews. 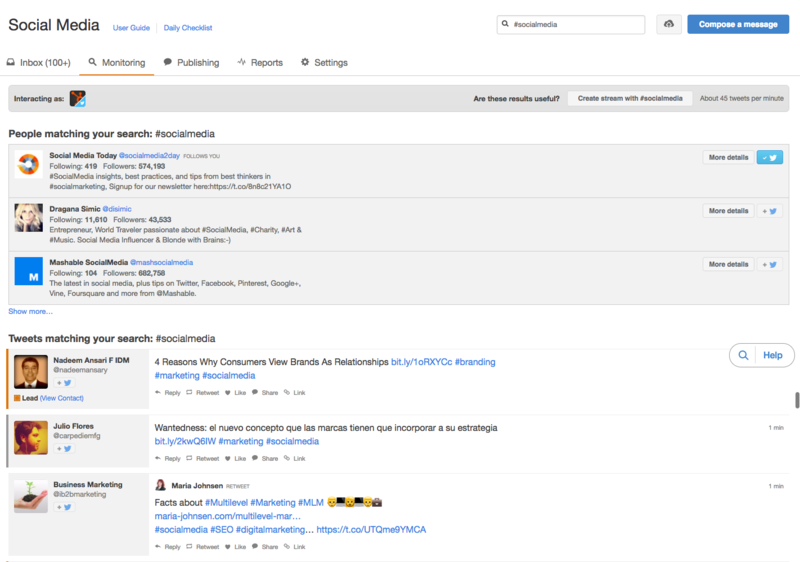 Users can even refine their search by star rating. So, what’s a business to do if they’re stuck with bad reviews? The simple answer is to build a solid reputation. Focus on enhanced customer service set the right expectations and listen to customer feedback. GetFiveStars is an invaluable tool for improving your reputation on certain sites. It uses your Net Promoter Score in the decision tree; customers/clients interact with differently based on their satisfaction level. The service also lets you automate the outreach for feedback. 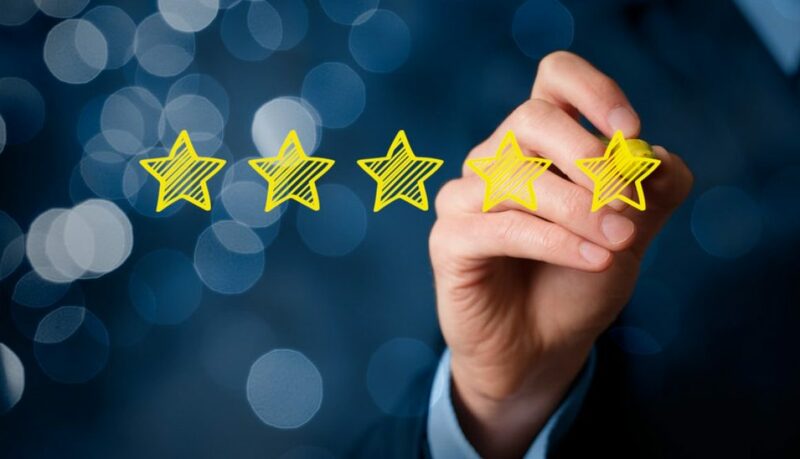 You can focus on getting legitimate, quality reviews and better understand what’s contributing to your online reputation. What will the future of marketing hold? Will it be entirely automated by smart AIs that fully understand human nuance? Probably not. Will it be entirely manual and managed only by individual people without the aid of technology? Definitely not. As we’ll discuss shortly, the top influencers in marketing put their heads together on this very topic, and the results may surprise you. In any case, it’s safe to say that marketing probably isn’t going back to the old days of billboards, newspapers, and radio spots. The numbers don’t lie: the future of marketing is definitely digital. The digital marketing space continues to grow: Online sales have doubled in the past five years, and more than two-thirds of adults in the U.S. shop online monthly. Revenue for online advertising recently surpassed that of television for the first time in history, and growth of traditional advertising such as TV and print are projected to stay flat while newspaper advertising continues to decline. What all of this means is that marketers need to develop effective strategies to realize the opportunities digital provides. However, there are several factors that can either help or hinder your digital marketing efforts, and they all revolve around data and the customer journey. Marketers must always strive to understand the needs of their customers, so digital marketing is driven by customer data. The good news is that there’s a wealth of data in every online search and click that can reveal insights about consumer behavior and demographics. Ideally, marketers would use this information to drive customer engagement that leads to increased revenues. The problem is that data isn’t an easy-to-use solution to marketing challenges in and of itself; it needs to be collected, managed, and interpreted correctly for it to have any value at all. Even valuable data can go to waste when it isn’t integrated properly, and most marketing leaders spend up to half their budget on data analytics that ultimately leads to no company-wide improvements. Data is also often mismanaged because of a lack of central ownership. This leads to significant digital skills gaps that are projected to cost businesses $3.3 billion by 2020 considering that much of the data marketers collect gets mismanaged and thus becomes irrelevant, redundant, or obsolete. It’s always a bad investment when businesses spend money on data that goes nowhere. There needs to be a method to solve data management problems so marketers can realize the benefits of using data for digital marketing. Back in the day, advertising was a one-way street: Businesses sent advertising messages to customers to drive sales through one-way channels such as billboards, print, and broadcast. There was no dialogue between companies and consumers. People didn’t have the internet to allow them to find the best possible deal, nor did they have powerful social networks to let them know about others’ brand experiences. Nowadays, most of the buying process is customer-controlled. In addition, consumers are growing intolerant of annoying and irrelevant advertising, and pop-ups and other unwelcome messages are now getting blocked with increasing frequency. In fact, 11 percent of global consumers now use ad blocking software, up 30 percent since last year. Google Chrome will soon have a built-in ad filter feature, as well. The use of ineffective online marketing communications isn’t just wasteful, it can also be toxic to your brand as consumers become annoyed and shut you out completely. As a result, marketers now need to ensure that they’re reaching the right customer at the right time with the right message to drive brand engagement. Otherwise, they risk annoying or upsetting their customers, thus leading to brand abandonment. In a perfect world, marketers would use insights from data to engage with empowered consumers and help them make smart purchasing decisions through digital marketing. However, the challenge marketers face is managing massive amounts of information to serve a fickle market that will punish them harshly if they make a mistake. As brilliant as marketers are – and must be in these challenging times – it’s difficult to downright impossible for individuals to put their arms around the millions of data points that constantly stream in from their digital marketing campaigns every nanosecond. Thus, an automated process called machine learning is necessary to take all the data you collect, organize it, manage it, and use it to predict the best ways to reach people with messages to galvanize buying behavior most effectively. 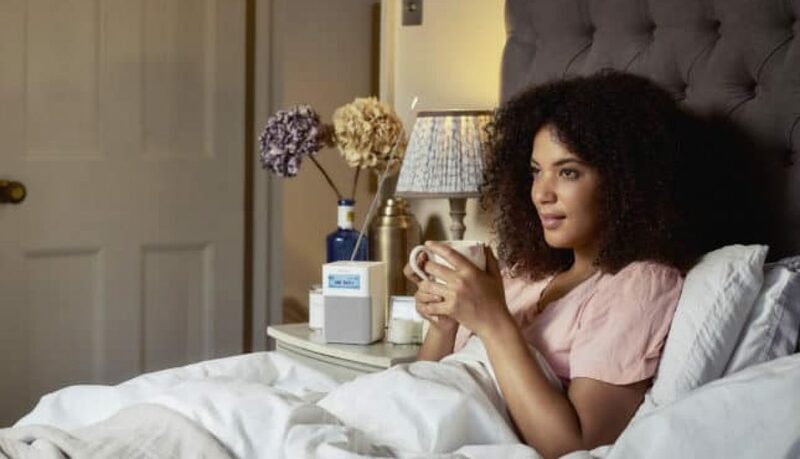 Chatbots and Voice Assistants – The increasing use of conversational chatbots and voice assistants from Google, Amazon, and Facebook highlights the importance of being able to intelligently create a relevant and engagingly conversational user experience based on empirical data. User Engagement – The use of machine learning to build predictive analytics models, such as those created by Urban Airship and Microsoft Azure, can determine potential points of customer churn and proactively help businesses retain customers. Natural Language Processing – Machine learning can be used to optimize bidding in digital advertising, mitigating data scarcity with highly accurate predictive models based on semantically similar keyword groups, such as the model used by QuanticMind. The rise of digital marketing presents many challenges and opportunities for marketers. Those who manage data effectively to communicate with consumers appropriately will have an advantage over those who don’t. 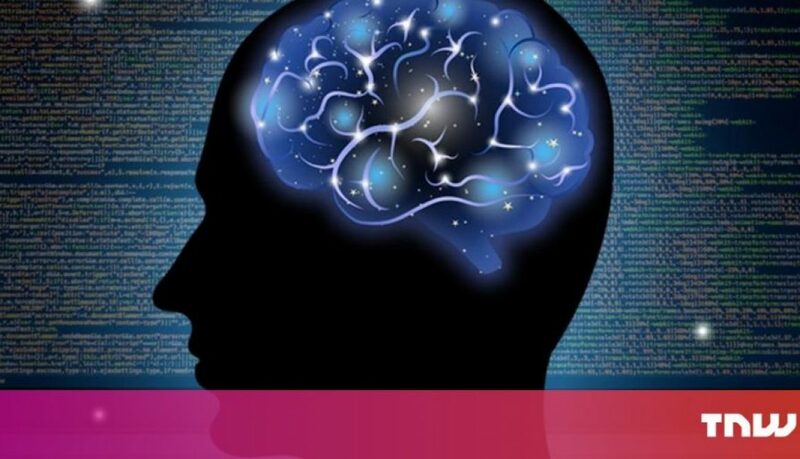 Machine learning offers marketers the ability to fully realize the benefits of digital marketing, build real user engagement rather than being filtered out…and ultimately grow their business and revenues by always being where their customers are. What’s my best advice for closing? 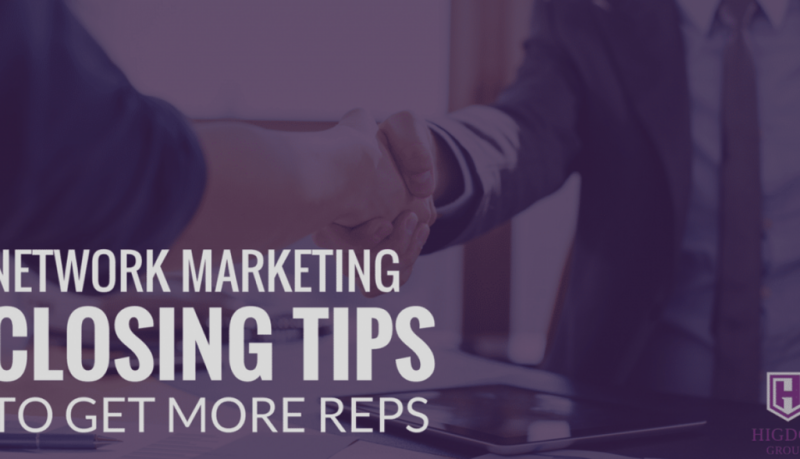 Here I share 3 tips that WILL help you get more reps.
I’m a big fan of sorting OVER closing. The closing means every person I lock eyes with I’m trying to get into my business. I’m here to tell you there’s a lot of people that you don’t want on your team, and you don’t want in your business. So, I want to look at people’s energy, attitude. Are they going to show up big? Are they coachable? There are individuals that I recruited that I wish I didn’t. There are people that you don’t want on your team. Believe me, it’s going to create strife amongst all your other teammates. It’s a team. Not just YOU. Stop trying to close everybody that you encounter. Stop trying to close every mouth breather on the planet. You don’t want them on your team. Stop being addicted to that sign up bonus. So look for who’s open versus trying to close everybody. Who’s open? If you just do that, you will alter the fabric of reality around network marketing. I’m telling you. Why are most people turned off by network marketers? It’s because they’re addicted to the outcome. They use crazy strategies that make no sense because they want to get them. Network marketing isn’t just about getting more sign-ups, it’s about duplication. If you sign up someone, and it has to do with your charisma, your personality, your connection to them, then you’re not very duplicatable. You need to point them to a tool. The tool could be hotel event, restaurant event, presentation, sizzle call, magazine. It could be a sample pack or a seven-day deal. It could be whatever. Use the tools because it’s about duplication. It’s about you growing your business and showing them a way they can do it regardless of charisma, personality, or their background. They can do it too because they can just follow the system. Well, you change your name, you grow a mustache, you move out of town, shut down your Facebook account, start a new one, maybe focus on Instagram this time because there’s less rejection over there…. Who cares if someone doesn’t respond to you. Seriously? I probably have tens of thousands of people that didn’t respond to me but my income didn’t mind. Another notable stat: 89% of U.S. respondents said they use Facebook several times a week or more, and 81% said the same about Instagram, according to an AudienceProject survey. TL;DR: Social media is a great opportunity to reach customers, but it’s a crowded landscape. To create social media content that drives results, we’ve got tips that fall into 2 main categories: running paid ads and improving your content. Today we’ll be discussing the latter. If you’re a MailChimp user, you’ve got an additional superpower, because you can use your email list to fuel your Facebook and Instagram ad campaigns. But more on that later this week. 1. Get stellar art for your social posts. You don’t have to be a photographer to use stock photo websites like Pexels and Unsplash, which offer great images, many of them free. And if you do want to improve your product photography skills, Shopify has a great DIY guide. 2. Avoid images with too much copy on them. Did you know Facebook takes this into account when approving posts for ads? If you’re not sure if your image has too many words, here’s a handy checker. 3. Use more photos with faces in them. 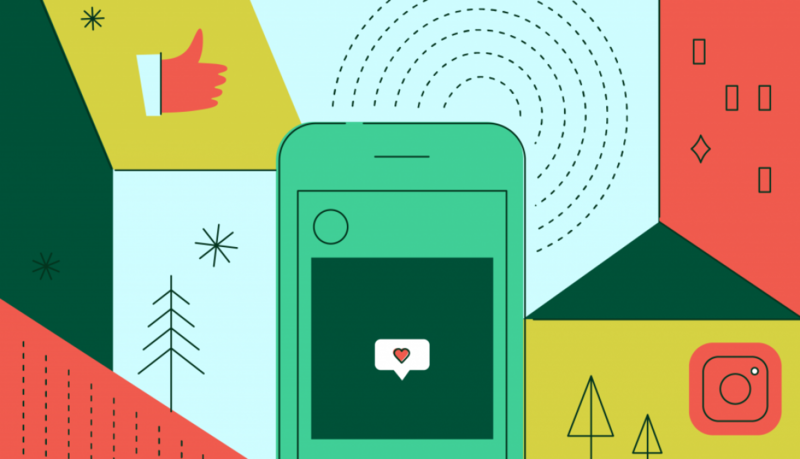 People-heavy images get more engagement on Instagram, and they can humanize your brand. Say cheese! 4. Make a video. With the advent of smartphone cameras, it’s never been easier to hit record. Facebook’s algorithm prioritizes it, and it can be a fun way to show off your wares. Plus, as live streaming has hit the mainstream, consumer expectation for social video has shifted. Videos that feel rougher around the edges can feel more native to social platforms. Give it a shot! 5. Make your post phone-friendly. If you’ve worked hard to create great images or video for your social media posts, make sure they look good on mobile devices. 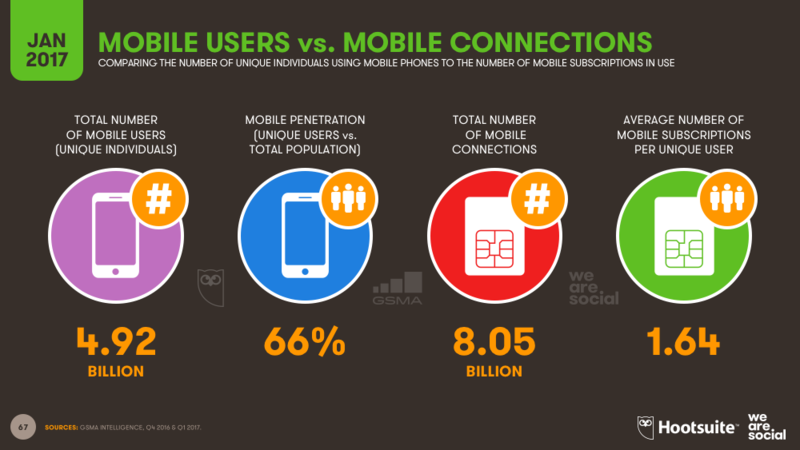 Almost 3/4 of the global population uses a mobile phone, and nearly 80% of the time on social media is spent on a mobile device. 6. Stay inspired. Keep a list of brands or organizations whose social media imagery you love, and check in with them from time to time. 8. Tell them “why.” Consumers are bombarded with ads and products, especially around the holidays. Make sure your copy tells them why they need a product. While it’s certainly beneficial to have an individual or small team “owning” management of your business’ social media, your marketing efforts will be far more successful if everyone in your business contributes. The multi-faceted nature of social media and the many disparate skills and disciplines at play is another reason to get everyone in your company involved. A good social presence relies on people for content writing, audio and video recording, photography and design, data and analytics, competitive analysis, community building, influencer outreach, advertising and more. The more help you can garner, the better! If you’re not sure how, to begin with, this social-sharing tactic, consider using an employee advocacy tool like Smarp. This platform gives you the gamification tools you need to incentivize your people. When all (or most) of your employees are involved in your social sharing, things can get tricky. Although the advantages are huge, it does require extra coordination. The right-hand needs to know what the left hand is doing, to use the old but true cliché. We’ve discussed incentivizing your employees to share your company’s content, but sharing original content is only the tip of the iceberg. To bring even more value to your branding and social media efforts, and to reduce the customer perception of spam, much of your employee’s social media time should be spent curating content. That is, sharing content published by others that are related to your industry. Your business will gain new audiences and a “human touch,” and your employees will enjoy stronger personal brands. It takes encouragement, communication, and organization. But the payoff is rewarding, and it can earn you a competitive edge that lasts for the long haul.